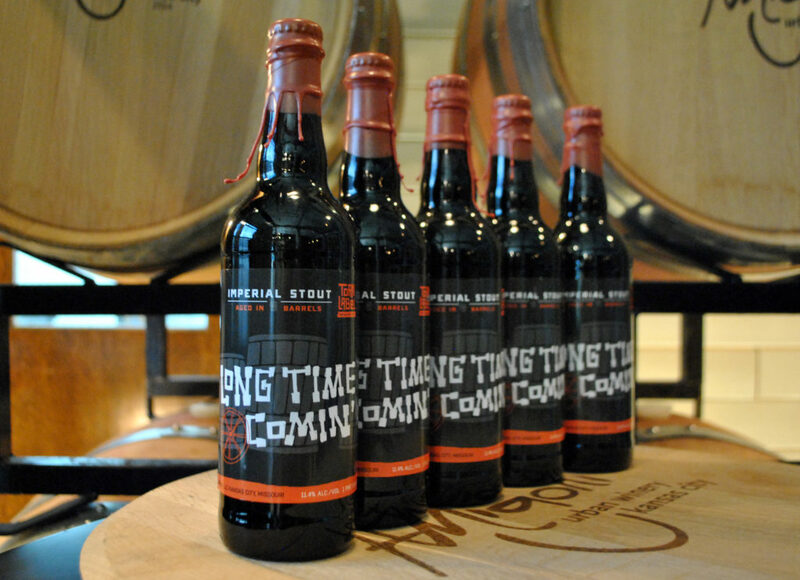 Brewmaster and co-founder Travis Moore crafted a 15-barrel batch of Long Time Comin’ intended to be entirely barrel aged, and monitored the extensive array closely over nearly a year. A portion of the 11.4% imperial stout was aged in barrels from Amigoni Urban Winery and other local partners, including J. Rieger and Company, Union Horse Distilling Company and Tom’s Town Distilling Co.
We received half of the amount aged in an Amigoni Missouri oak wine barrel and will release it in the tasting room on Friday, June 30 at 11 a.m. It will be available on tap and in 22-ounce bottles while supplies last. Quantities are very limited, so get yours before they are gone! For more information please email [email protected] or call 913-890-3289.